Knowledge and passion is what separates Breakaway Press from other printers in the Chatsworth and San Fernando Valley area. If you have a custom printing project in mind, Breakaway Press can help transform your idea into reality with our custom printing services! No custom print project is too hard or too “hot” for our team. And much more! Learn more about our Custom Printing services! Looking for short-run printing? Variable-data printing? Fast turnaround and competitive pricing? Need help with crafting a staged, multi-step campaign targeted specifically to your clients and prospects? Let us help you with our Digital Printing Services! We provide the forms that your business needs to keep running. Breakaway Press offers multi-part forms, continuous forms, carbonless forms / NCR and much more. Ask us today about our business form services. 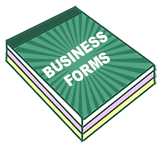 See our Business Form services! Breakaway Press offers a wide variety of catalog and brochure printing services. From designing your page layouts from scratch to combining all of your artwork for your multi-page catalog or brochure, we ensure the quality of your product prior to it ever hitting our press. Contact us today about our wide range of catalog and brochure services. 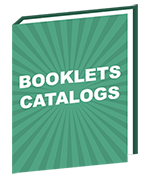 Find out more about our Booklet, Catalog and Brochure services! The quality product you have created needs a unique, eye-catching art style to stand out, as well as a reliable and cost-effective design to fit your production needs. 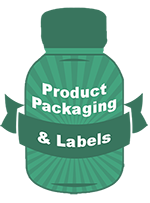 Breakaways Press offers comprehensive product packaging and product label services. From carton boxes, fold-over boxes, roll-feed labels and much more, we can help your product sales soar! See our Packaging and Label services! Make a statement and memorable impression with professional stationery and letterhead to represent what your company is all about. 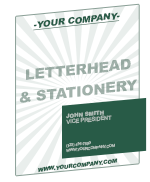 For all of your business identity needs, see our Stationery & Letterhead services! Most marketing pieces have a single second to make a positive impact. So graphic design is the last place you should be cutting corners. Make us your graphic design company today and also receive access to our extensive photo library. 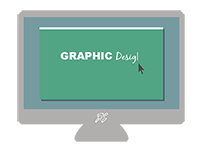 Learn about our Graphic Design services! In our community, business moves at a breakneck speed. So Breakaway Press works to make your life easier, with fulfillment services that free your time. See our Fulfillment services! Need your product and message delivered directly to the hands of your customers? 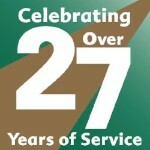 Breakaway Press offers complete mailing services. See what we can do for you to help spread your message. Sign-up to receive our emails here!